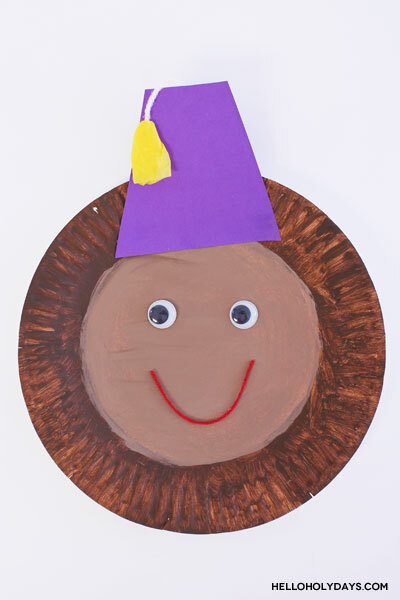 Ramadan Drummer Paper Plate Craft – Hello Holy Days! 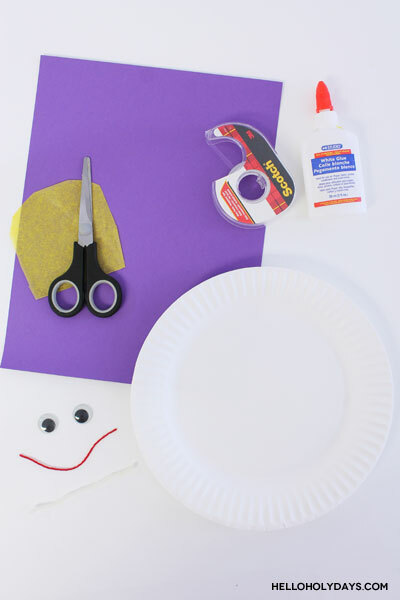 If you have a preschooler on your hands – or if you’re a preschool or kindergarten teacher – this is a great craft to do with the kids to celebrate Ramadan and Eid al Fitr. It’s a Ramadan Drummer paper plate craft! It’s super simple to do, though you may need to pre-cut certain pieces depending on the age and ability of the children that you’re working with. 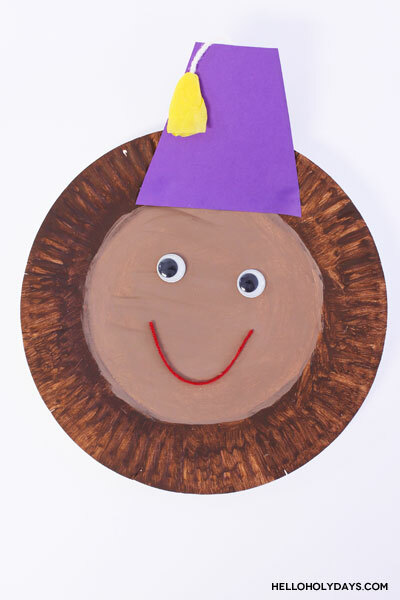 What’s really fun about this craft is that every child will have a slightly different looking Drummer based on the placement of the drummer’s eyes, mouth, hat etc. It’s really special to see every child’s individuality come out in a craft like this! If you’d like to learn more about the Ramadan drummer, stay tuned for literacy resources telling his story here on Hello Holy Days! *Please note the fictional Ramadan drummer is the intellectual property of Manal Aman and is meant to be used for personal or educational use only. Commercial use is prohibited without license. Paper plate (the flimsy kind – available at Dollar Tree. Styrofoam plates or plastic plates are not suitable for this craft). Skin colour paint – any colour of your choice. Here, brown is used. 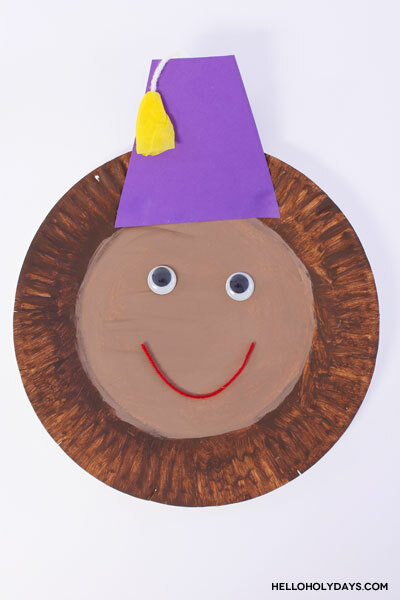 Paint the beard of the Ramadan Drummer by painting the outer edge of the paper plate brown. 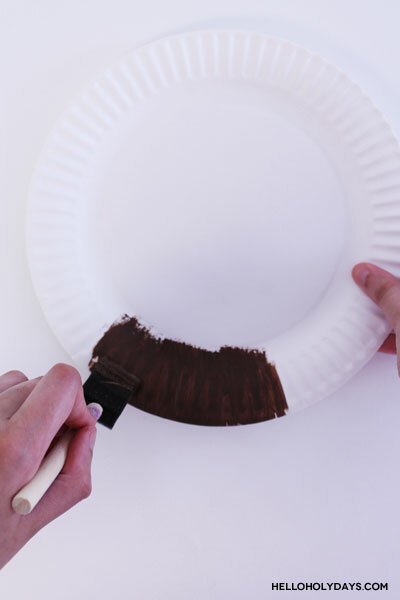 Paint the centre of the paper plate in any skin colour of your choice. Cut out a trapezoidal shape from the purple paper. This will be the drummer’s hat. To make the tassel of the Ramadan Drummer’s hat, scrunch up a piece of yellow tissue paper. Attach the tissue paper to a small piece of yellow yarn with glue or tape, if preferred. Attach the yellow yarn to the back of the Drummer’s hat. Glue the hat to the paper plate. Cut a small piece of red yarn for the Drummer’s mouth. Finish by gluing googly eyes and red yarn smiley face onto the Drummer’s face.